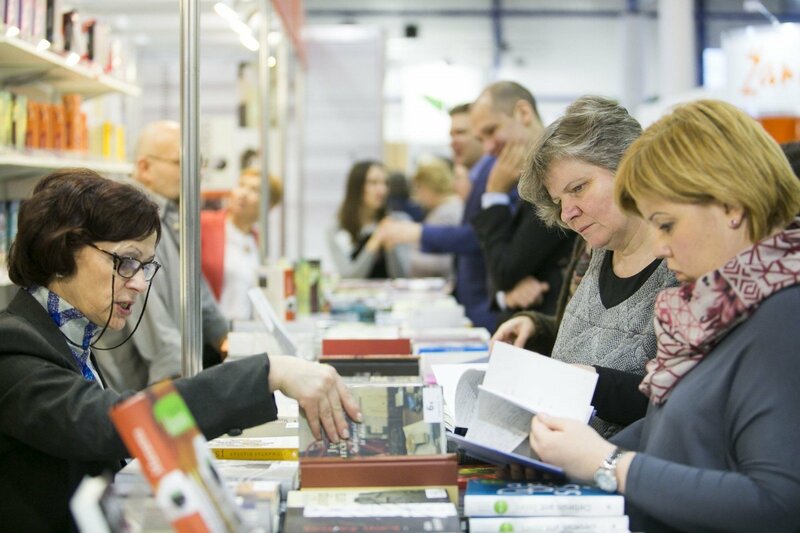 The 17th annual Vilnius Book Fair saw over 65.000 Lithuanians gather in the LITEXPO halls in the capital. Lithuanians from all age groups perused publishers’ stands for new reads, autographs and pictures with their favourite authors. The theme of this year’s fair was ‘Character in Search of an Author’ and those visiting the LITEXPO confirmed the idea that authors were the ones most sought by readers visiting the fair. Long lines formed in front of the stands of authors such as Andrius Tapinas, Beata Nicholson and Algimantas Čekuolis, who were signing copies of their books and chatting with readers. The Vilnius Book Fair has become a flagship cultural event in Lithuania and attracts a range of celebrities, politicians and other public figures. It has become the cultural event in Vilnius where you go to not only see, but also to be seen. 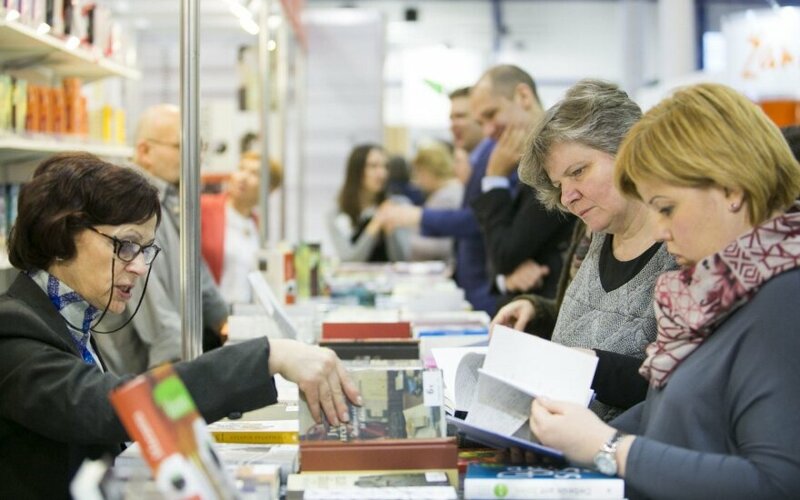 It was not only Lithuanian authors and publishers who attended LITEXPO - of the 330 authors and publishing professionals that attended the event, more than 30 came from foreign countries. One of the stars of this year’s fair was the Czech illustrator Kveta Pacovska, the winner of the Hans Christian Andersen Medal. “The book fair invited her some years ago, but it was only this year at age 87 that she decided to come,” said Aušrinė Žilinskienė, director of the Lithuanian Culture Institute and one of the fair’s organisers. “The fair’s popularity has been growing steadily. The interest from participants and visitors doesn’t waver,” she added. She is proud of what the fair has achieved over its 17 year of existence and the growing interest is evident in the large amount of visitors – 65,000. “The biggest challenge is to coordinate all activities in all different parts of the fair,” said Žilinskienė. The level of organisation needed to cater to a crowd of this magnitude was considerable. The fair, which was spread over five different halls, had something for everyone. One hall was dedicated to children’s literature, another focused on cinema, and yet another one covered scientific and reference publishing. Žilinskienė said that is one of the great things about the fair was the fact that there was something for all visitors. Discussions hosted at the event covered everything from movie adaptations to the role books can play in raising children, with many writers reading from their works and discussing their latest publications with readers, publishers, experts and critics. The former president of Latvia, Valdis Zatler, was a special guest and presented his memoir ‘This Is Who I Am’. Zatler was interviewed by Editor in Chief of the Lithuania Tribune, Ruslanas Irzikevicius. It is often said that young people no longer read, but visitors of the Vilnius Book Fair must have come home with a different conclusion in mind. Young Lithuanians rushed through the older crowds. They scurried from stand to stand to visit their favourite authors and to get some new or rare books. “This is the second time I’ve come the fair. I love reading,” said 19 year-old Aistė, who had just bought a copy of Charles Bukowski’s Women. Lithuania is a country full of book lovers, but it is a small country nevertheless and this can make it difficult for the smaller publishing houses. “The publishing houses have to produce very big names to be successful internationally. Smaller publishing houses have to compete very hard,” explained Žilinskienė. But there are reasons to be positive about literature in Lithuania with the large amount of young readers that attended the fair and for the fact that the Vilnius book fair is the most important event of the publishing sector in the Baltic countries. “And it is the biggest literature festival too. It proves to the world that Lithuania is a country with a strong book and literature tradition,” said Žilinskienė. The Vilnius Book Fair started on Thursday 25th of February and finished on Sunday.